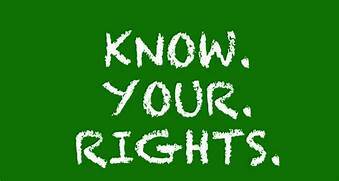 WHAT: COMMUniversity, in collaboration with the Atlanta Volunteer Lawyers Foundation, will host a “Know Your Rights! Free Legal Information Station at The Power of Fair Lending Conference.” Attorneys will be on hand to provide free legal tips on expunging a criminal record; defending against pushy debt collectors; understanding probates and wills; resolving disputes with difficult landlords or lenders. WHEN: Saturday, April 28, from 9 a.m. to 4:30 p.m.
WHERE: Clark Atlanta University Bishop Cornelius P. Henderson Student Center in the Baranco Mutipurpose Room, 755 Atlanta Student Movement Blvd., Atlanta, GA 30314. WHY: COMMUniversity, a program of the Atlanta University Center Consortium, represents a commitment by Clark Atlanta University, Morehouse College, Morehouse School of Medicine, and Spelman College to reach the community, and has formed a partnership with the Atlanta Volunteer Lawyers Foundation. The conference sponsors, Metro Fair Housing Services, U.S. HUD Region IV Office of Fair Housing and Equal Opportunity, and AUCC are celebrating the 50th Anniversary of the Fair Housing Act and National Fair Housing Month with this signature event. The conference will feature: a continental breakfast; a morning Plenary Session with a historical overview of the intersection of the Civil Rights Movement and the FHA; a working box lunch session will feature winners of the Westside School Art Contest and a keynote speaker address by Tim Wise regarding intergenerational movement building-prospects for social change under the Fair Housing Act; afternoon interactive Concurrent Roundtable Workshops on Solutions in 2 sessions- Inclusion and Opportunity in Westside Atlanta Redevelopment, and Lack of Affordability, Environmental Gentrification and Lending Discrimination; a closing Plenary Session focused on Sharing Solutions that Start With You; and information stations. The conference and information stations are free and open to the public by pre-registration only! This event and forum is one of many programs by COMMUniversity to connect the neighboring community with Atlanta University Center institutions. For more information on COMMUniversity events call 404-523-5148.